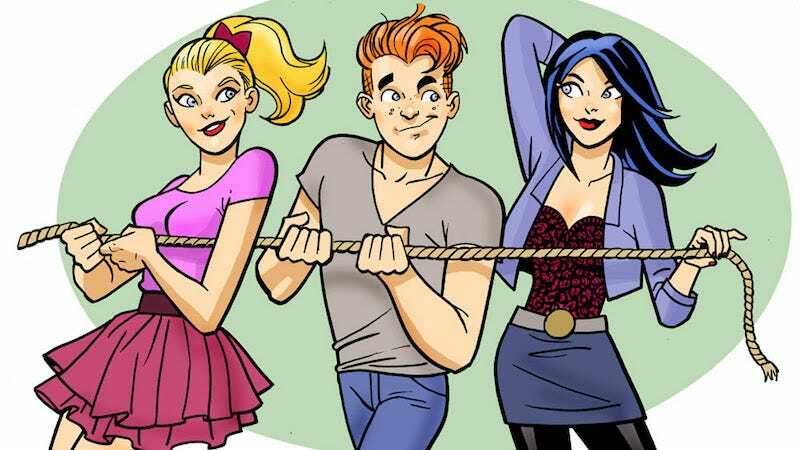 Artist Dan Parent and writer-inker Ty Templeton are working together on the just-announced Your Pal Archie, which is an “all-ages” book that will modernize the looks of the characters by taking inspiration from Riverdale. If they want to keep the book all-ages, the fashion will have to be all they take from the show. You can sort of see the influence from the show in the few bits of art we’ve gotten. It’s especially evident in Betty’s hairstyle, which is the same high-up, controlled-curl pony tail that TV Betty wears constantly. Sadly, we have no confirmation yet if Your Pal Archie will spend nearly as much time with shirtless, ripped Archie as the TV show does. I honestly don’t know if I want that or not. Probably not. I think.